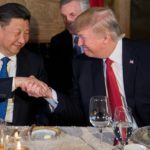 That Xi and Trump have agreed to a framework to guide trade talks and delay more tariffs is good. But the fundamental trade problems remain. With politically savvy hardliner US Trade Representative Lighthizer heading the US negotiating team, the talks will be very contentious, and the US will push hard for fundamental overhauls of Chinese trade policy with agreed upon milestones; excellent. I’m guardedly hopeful, but doubt China will bend.